High Road, Whetstone at the junction with Totteridge Lane. 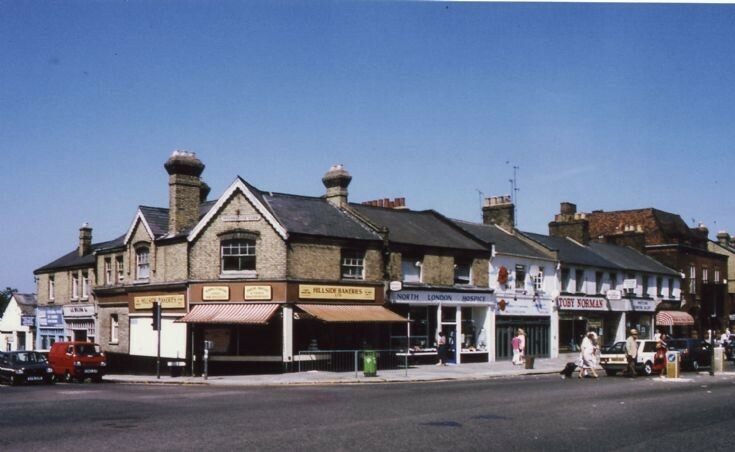 Shops include Hillside Bakeries, North London Hospice, Toby Norman tailors and Moores - the last surviving butchers in Whetstone. The shops were all demolished in 2001 to make way for a large Boots store with flats over.